Is this a temporary account number? You only need to enter the numbers after the "2 3000" from your library card number (no dashes or spaces). First time signing in? Leave the password field blank and you will be prompted to create a password. Looking for your eBook or Downloadable Audiobooks holds? Go to the MCLS OverDrive Catalog instead. 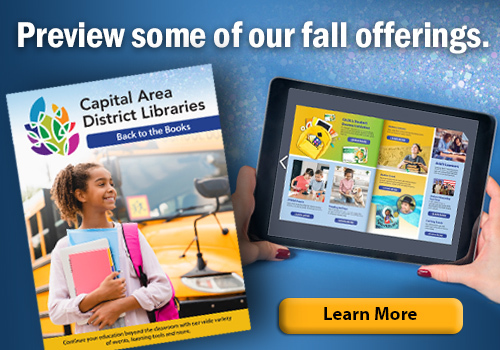 Don't have a CADL library card? New library users can get a temporary online card that provides instant access to CADL's digital services, then visit the library within 21 days to get a full-service card. Tell me more . . .